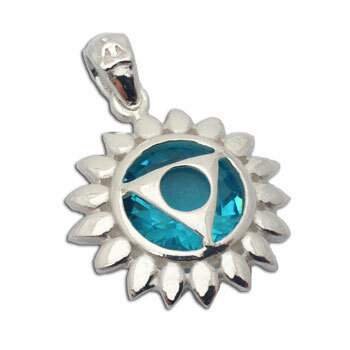 Throat chakra pendant is made of sterling silver and has a turquoise colored glass stone. The pendant is 2 cm (3/4 inch). Throat Chakra (vishudda): Communication. Honesty. Integrity.